Situated in San Antonio/ the Stay Express Inn is within 3 mi of Marion Koogler McNay Art Museum/ San Antonio Botanical Gardens/ and San Antonio Zoo and Aquarium. Witte Museum and Quarry Golf Club are also within 3 mi. The economy motel is located only 4.4 miles away from U.S. Army Post Fort Sam Houston. The motel features Coffee/tea in a common area/ a 24-hour front desk/ and express check-out are available at this hotel. Free continental breakfast/ free WiFi in public areas/ and free self parking are also provided. Other amenities include multilingual staff and RV/bus/truck parking. This is one of the best hotels near Fort Sam Houston The Stay Express Inn Near Ft. Sam Houston is a great place for the whole family to stay for fun/ relaxation and exploration near Fort Sam Houston and Riverwalk in San Antonio/ TX. 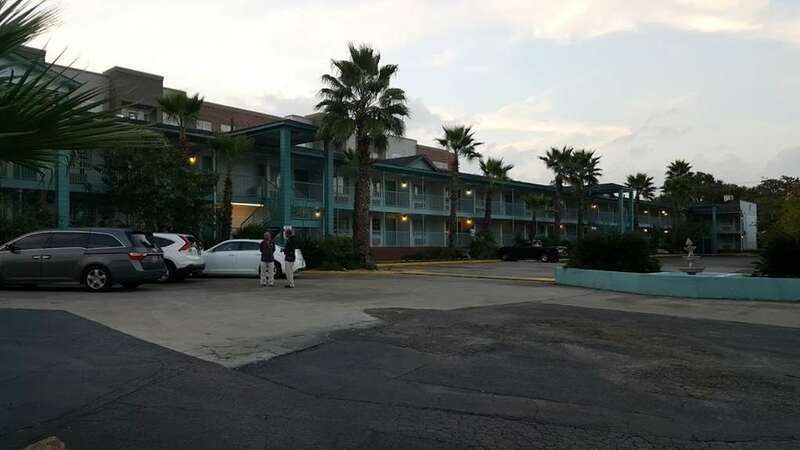 This economy motel is located only 4 miles away from U.S. Army Post Fort Sam Houston. And it is also only 7 miles from the famous Riverwalk of San Antonio/ TX. Enjoy Free W-Fi in the budget friendly rooms of our Stay Express Inn Near Ft. Sam Houston. Our rooms are equipped with Microwaves/ coffee makers/ and mini-fridges for your convenience. The Stay Express Inn is located near Ft. Sam Houston and is a great place for the whole family to stay for fun/ relaxation and exploration near Fort Sam Houston and Riverwalk in San Antonio/ TX. The economy motel is located only 4.4 mi away from U.S. Army Post Fort Sam Houston.This is one of the best hotels near Fort Sam Houston. And it is also only 7 miles from the famous Riverwalk of San Antonio/ TX.